Fig. 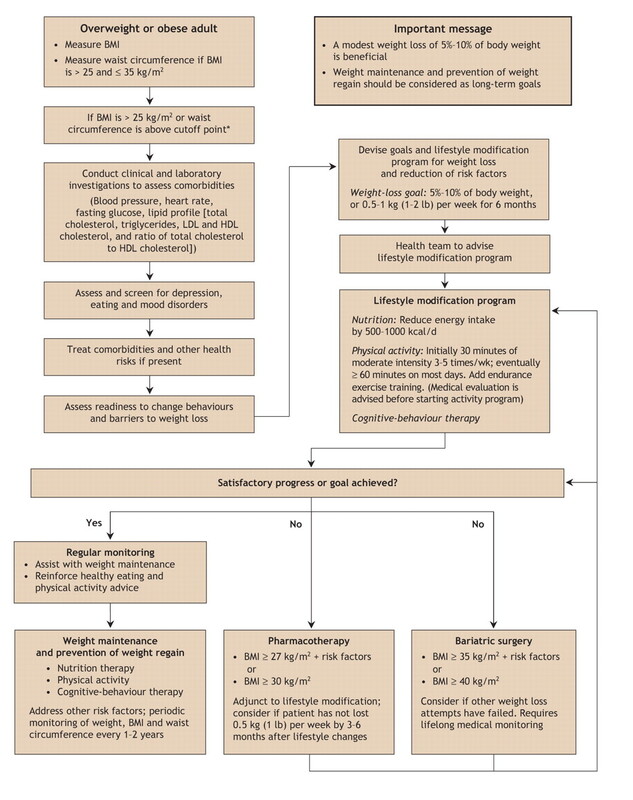 1: Algorithm for the assessment and stepwise management of the overweight or obese adult. 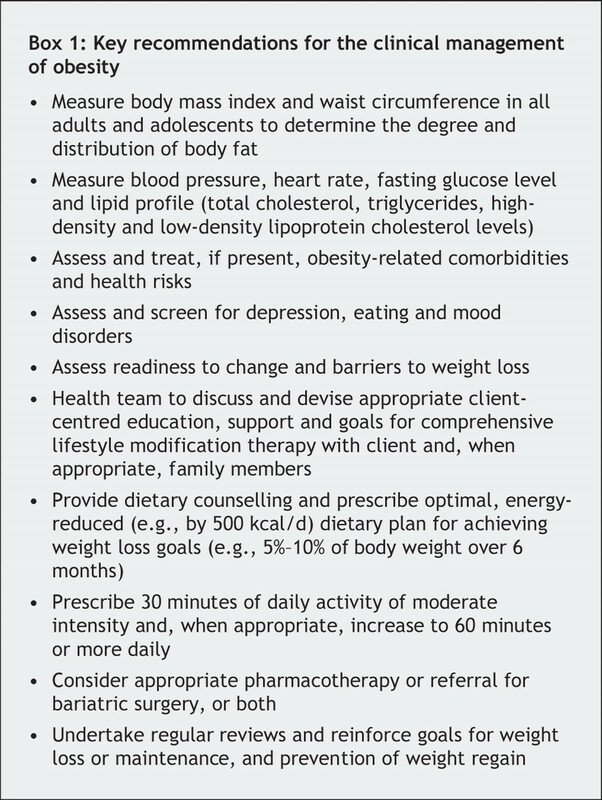 LDL = low-density lipoprotein, HDL = high-density lipoprotein. *Body mass index (BMI) and waist circumference cutoff points are different for some ethnic groups.